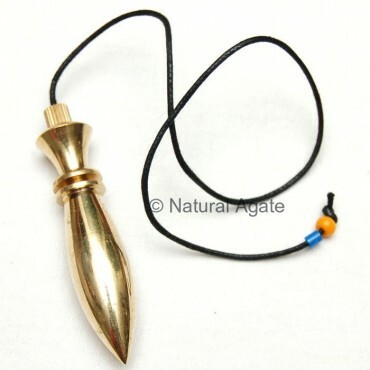 Karnak Golden Plated Pendulum is an important dowsing tool. It can be used to trace water, minerals, and metals or to search a missing person. Pendulum is 20-50mm long and can be availed from Natural Agate.